The Acer Aspire TC-780-AMZKi5 desktop computer was one of my favorites in my list of church computers for media. 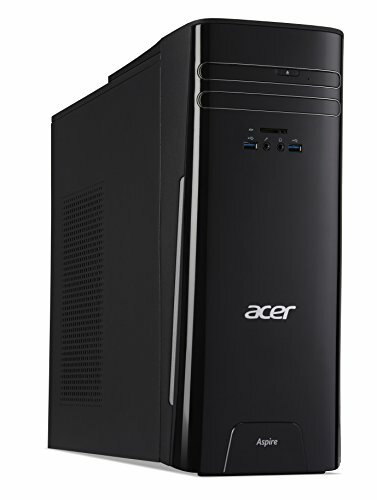 The Acer brand makes a great computer especially for those that need excellent media functionality. 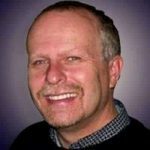 One of the things I have recommended is finding a great top of the line computers that are now being replaced with the latest and greatest. Finding one of these computers that are refurbished will save you hundreds of dollars and the computer will still do the job. Not all computers are ideal for working with video and photo editing, but we have found one that can do it all. The Acer Aspire desktop computer makes multitasking simple, and you can enjoy plenty of power for working with both photos and videos. It offers a 7th generation Intel Core i5-7400 processor, 8GB of memory, three USB 3.0 ports, and four USB 2.0 ports. The front-panel media access lets you connect other devices quickly and easily without having to reach around to the back and fiddle with anything. This PC will give you awesome performance, as well as fast response, and there is loads of storage, so you never have to worry about not having enough space for any of your data. Memory – Enjoy 8GB of excitingly fast DDR4 memory. The processing is faster than ever, so all of your experiences are smooth, even when you are working with large video or audio files. The high-speed wireless technology lets you enjoy speeds up to three times quicker than previous wireless computers. Acer Care Center – There are loads of services, updates, checks, and more that will ensure that your PC always runs fast and smooth. This is a small desktop PC that is big on power, but little in size, so it isn’t going to take up much space on your desk. If you need to move it around, it isn’t going to be a pain to do so. Performance – There are four cores, and a 3.0GHz clock speed that ensures you will always be able to get a lot done in a hurry (with a chip that cranks the speed up to 3.5GHz). This PC has an Intel Core i5-7400 processor, making it ideal for everyone and for just about any application. Ports and Connections – There are a variety of ports and connections so that you can connect just about any device. The video ports are from HDMI and VGA technologies. There is one of each port, and both are in the back of the unit. There are three USB 3.0 ports in the front, and one in the back. Network Connections – There are two ways to connect to the Internet using this computer. You can use the RJ-45 port that has the Gigabit Ethernet support. There is also a WiFi card inside the unit, the 802.11 ac standard, which is faster than the 802.11bgn standard. This PC also has Bluetooth 4.0. Okay, so I have talked about some of the best features this PC has to offer. However, there are always going to be things about any product that some users don’t like, including this one. 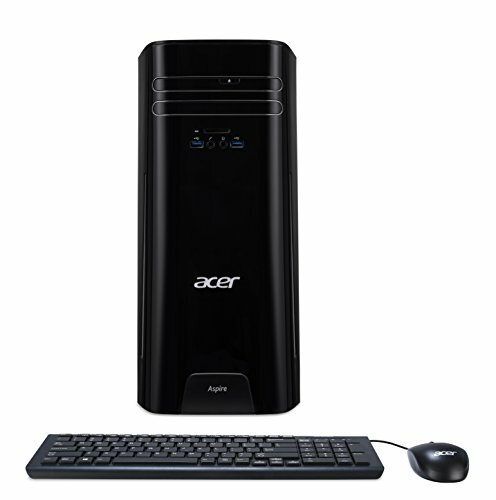 So, before you spend any money, I would like to talk about the pros and cons of buying the Acer Aspire desktop computer. Accessories – While you do have to buy a monitor separately, this PC does come with a keyboard and mouse. It is ready to use right out of the box. Just hook it up to the monitor you are currently using, and it is ready to go. Windows 10 Hone 64-bit edition is already installed for you. Price – This PC proves that you don’t have to spend much money to get everything you need in a great computer. You can get this PC for less than $700 on Amazon, and when you add a good graphics card, you can enjoy an impressive performance for gaming. Usability – Many users report that they enjoy great speed and that they can multitask easily with this PC. They are able to easily use any mouse and keyboard, including wireless devices. Windows 10 is already installed, so they can start using this computer without having to spend hours on installations and updates. Product Key – Some users report that upon receiving this product, they were not able to use it due to an invalid product key for Windows. They were not able to get the product key by calling tech support. WiFi – Some users report that the WiFi is not good. They seem to have many difficulties with connectivity, even though there are two ways to connect. Tech Support – Some users have reported that when they do have trouble with this computer, they receive little to no help from technical support. Even refurbished the Acer Aspire TC-780-AMZKi5 desktop computer is a great buy. There are very few computers under $500.00 that come with the graphics hardware that this computer comes with. It will make a great addition to your home office, small business, church, or non-profit organization. If you are still comparing options, you might like to read my reviews on the HP Slimline 260-a010 Desktop, Lenovo 90DA00LPUS IdeaCentre 300 Desktop Computer, or the ASUS K31CD Tower Desktop PC.